New and Improved Design of this Innovative, portable training device. Two independent units, each with flexible, single point suspension; allows rotation of joints for injury prevention. 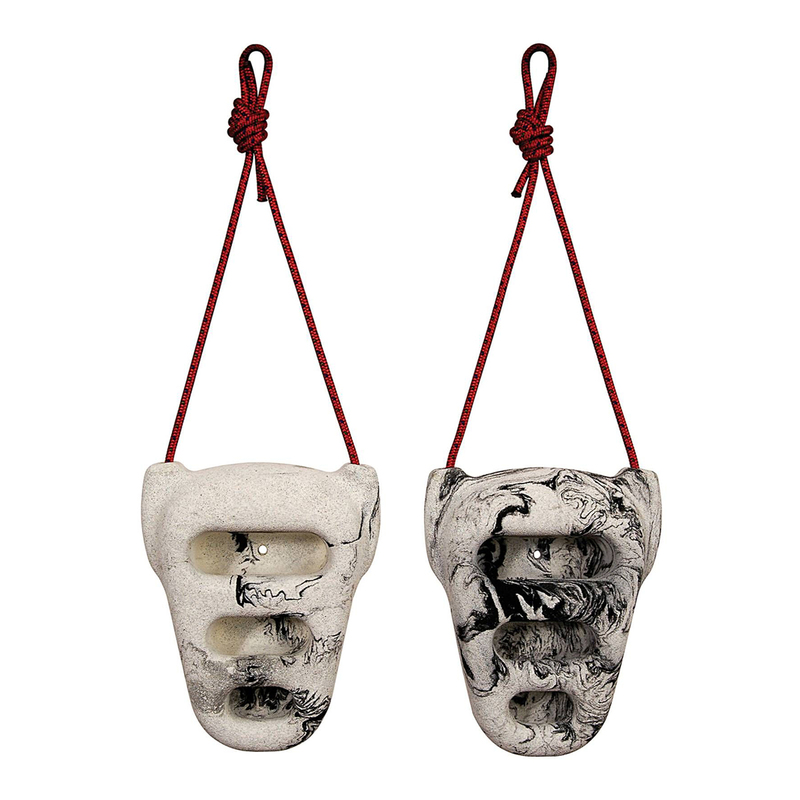 A great tool to maintain strength for traveling climbers. 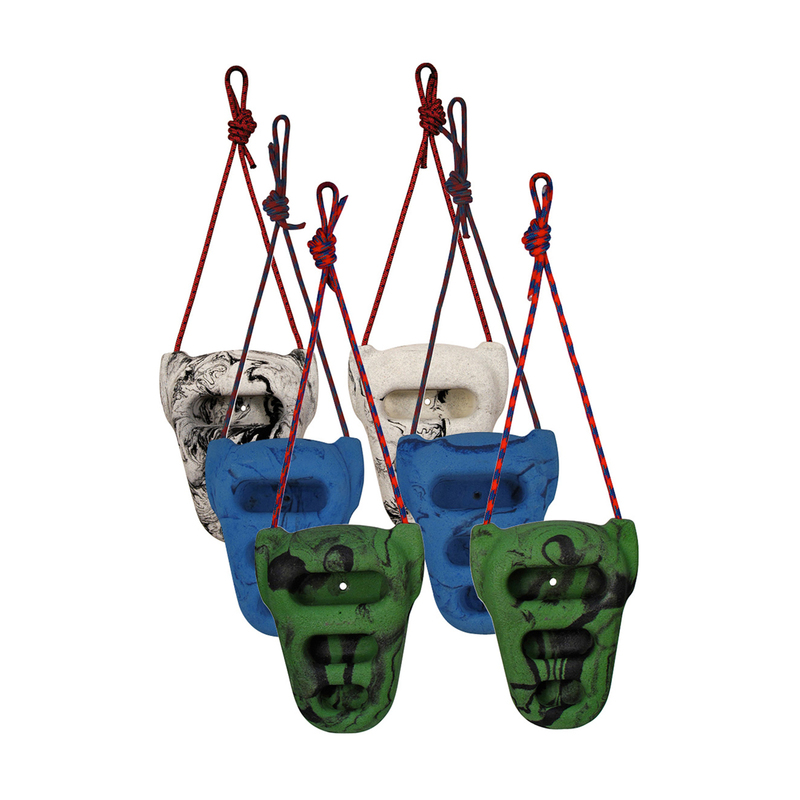 great piece of equipment,i take it with me everywhere i go, to get a quick workout when i cant go to the climbing gym.